SANTA ANA, Calif. (AP) — A video shows Officer Manuel Ramos and another officer swing at a shirtless Kelly Thomas with their batons and pin him to the ground as he pleads with them to stop. The 33-minute video — which was paired with audio from recordings devices worn by some officers — was shown publicly for the first time Monday in an Orange County courtroom as a judge decides if Ramos and Cpl. Jay Cicinelli will stand trial in the death of Thomas. The hearing resumes on Tuesday. The video shows Thomas pulling on his long, straggly hair while police search his backpack during an investigation at a transit hub last July. Moments later, Ramos snaps on latex gloves and threatens to take on the mentally ill homeless man. "I can't breathe man," Thomas moaned shortly before another officer used a Taser on him, according to a transcript of the muffled recordings. "Dad, help me," Thomas says. Ramos, a 10-year-veteran of the Fullerton Police Department, is charged with second-degree murder and involuntary manslaughter. Cicinelli, who has worked in Fullerton since 1999, is charged with involuntary manslaughter and excessive force. Both have pleaded not guilty. 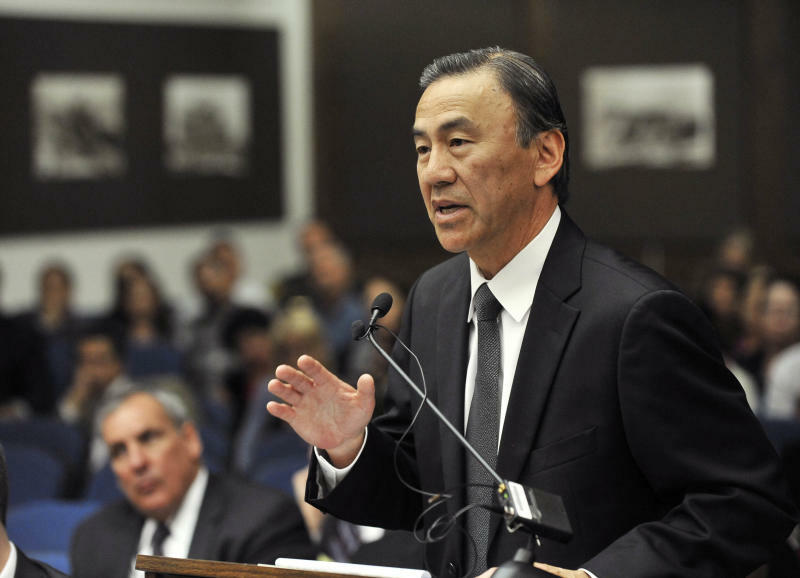 The incident spawned a federal civil rights probe and fueled weeks of protests by Fullerton residents that include a recall effort against three elected officials slated for next month's ballot. Parts of the grainy nighttime video are unclear, and there is background noise from dispatchers and the transit hub where the arrest occurred while police were investigating a report of car burglaries. When the altercation is in full swing, it's not clear on the video which officer is doing what. The video ends with medics taking Thomas from a spot covered with a large bloodstain, while police gathered their equipment and discussed the struggle. "We ran out of options so I got the end of my Taser and I probably ... I just start smashing his face to hell," Cicinelli said, according to the transcript provided by prosecutors. "He was on something. Cause the three of us couldn't even control him." Earlier in the day, Fullerton Fire Capt. 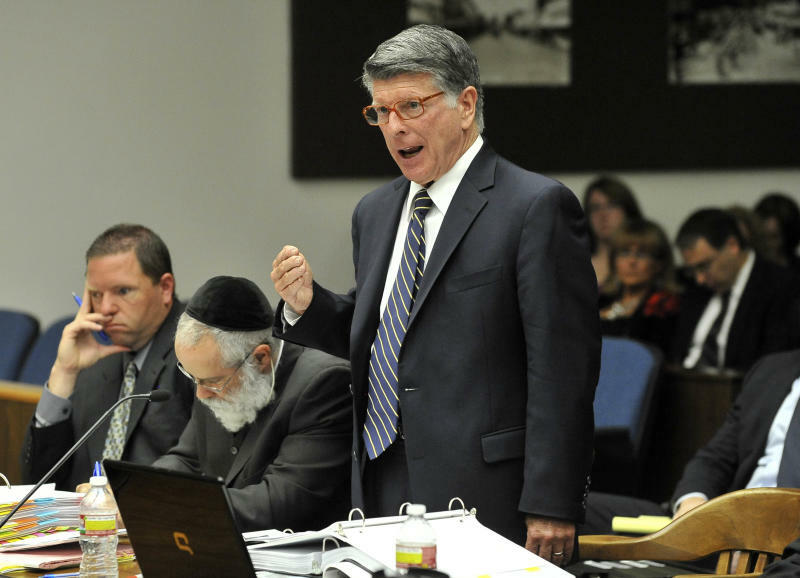 Ron Stancyk testified that he found the shirtless, handcuffed Thomas lying on the ground. His skin was ashen, his hair and face bloody, and he was breathing slowly. "Nothing was being done," Stancyk, a Fullerton paramedic with 20 years of experience, told the court. Dawn Scruggs, a forensic specialist with the Fullerton Police Department, said Ramos was holding his rib cage and was out of breath when she got there. Appearing exhausted, he told her he had never had anyone fight him like that before, she testified. "He looked like he was in disbelief of what just happened," Scruggs told the court. Cicinelli, whose right pant leg was smeared with blood, was also tired, she said. "He was in awe, like oh my God, I can't believe this," she said. "This guy just would not stop fighting." Prosecutors say the beating began after two officers responded to reports that a homeless person was looking in cars and rattling door handles in the transit hub where numerous buses come and go and commuters park their cars. The officers stopped Thomas, who suffered from schizophrenia and had trouble complying, prosecutors said. Prosecutors say Ramos punched Thomas in the ribs, tackled him and lay on him to pin him down. They say Cicinelli, who arrived on the scene later, used a Taser four times on Thomas as he screamed in pain and also hit him in the face eight times with the Taser. Thomas lost consciousness and was taken to a hospital. He was taken off life support and died five days later. The coroner concluded that Thomas died from mechanical compression of the thorax, which made it impossible for him to breathe normally and deprived his brain of oxygen. Other face and head injuries contributed to his death, prosecutors said. 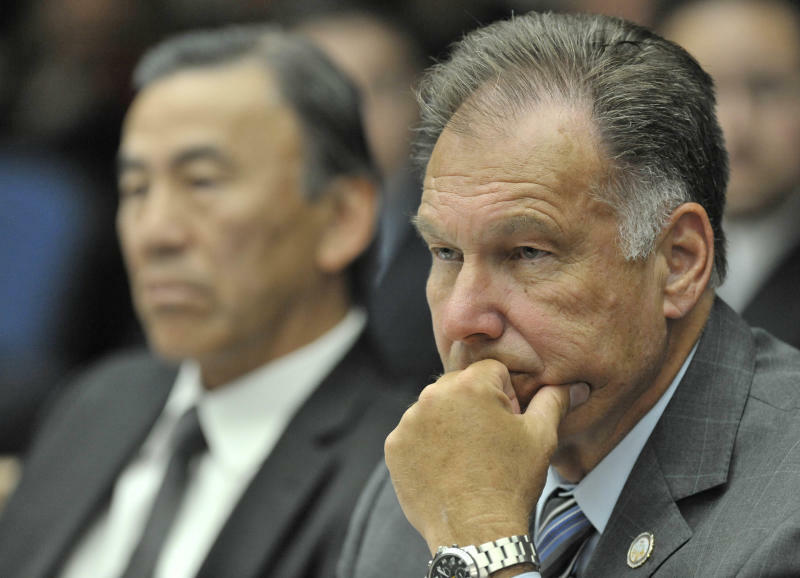 Orange County district attorney Tony Rackauckas, one of two prosecutors who questioned witnesses at what is expected to be a two day-hearing, declined comment on Monday, as did defense attorneys John Barnett and Michael Schwartz. Six Fullerton police officers responded to the incident. All were placed on paid administrative leave and are facing an internal investigation, but only Ramos and Cicinelli were criminally charged. About three dozen supporters of Thomas attended the hearing before Superior Court Judge Walter Schwarm. Thomas' father Ron Thomas said the video shows there was no struggle while his son was on the ground being kneed by officers who huddled over him. "It's made up to make Kelly look so bad and the officers the victim," Thomas told reporters outside court. Barnett previously said he did not believe prosecutors would put forward sufficient evidence to try the officers on homicide charges. "Officer Ramos was doing not only what he is permitted to do, but what he is required to do," Barnett said. The FBI launched an investigation to determine if Thomas' civil rights were violated. That probe is ongoing. The city of Fullerton is also conducting an internal investigation.